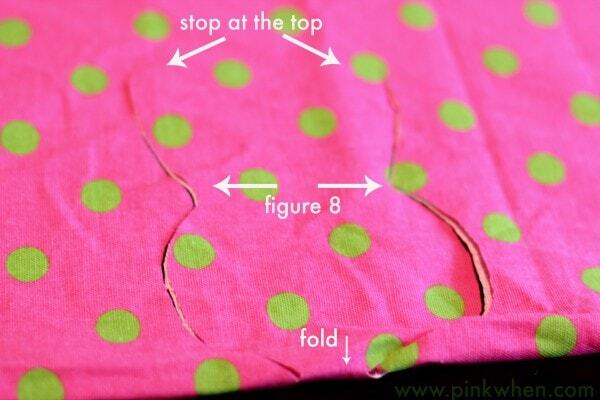 Step 1: The first thing you need to do is grab your fabric and fold it in half. Smooth it out and make sure you have all of the wrinkles out. Step 2: After you have your fabric folded go ahead and start to cut a figure 8 in the fabric, starting at the bottom of the fold. When you get up to the top, stop before you finish. 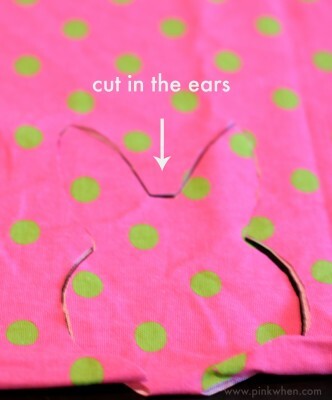 Step 3: At the top of your figure 8, go ahead and cut in your ears for the rabbit. 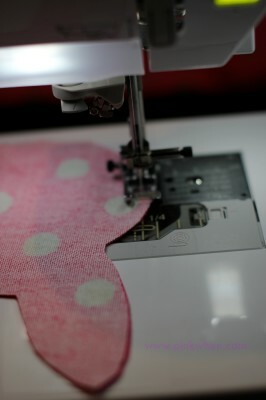 Step 4: Once you have your fabric cut away, you should be able to open up your fabric and it should look like this. 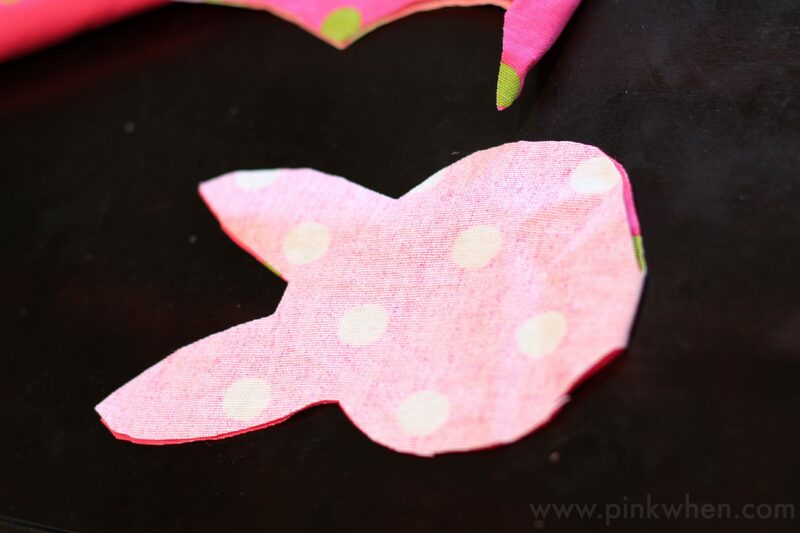 Step 5: Fold the fabric in the opposite direction so that you now have right sides together. 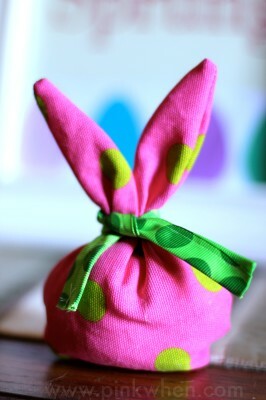 Step 6: Sew (or hand sew) all the way around the rabbit, leaving about a 2-3 inch opening for your candy. Step 7: Turn the rabbit right sides out, and carefully push the edges to make the ears pop out. Stuff your rabbit with goodies, and then carefully hand sew the remaining bottom portion of the bag closed. 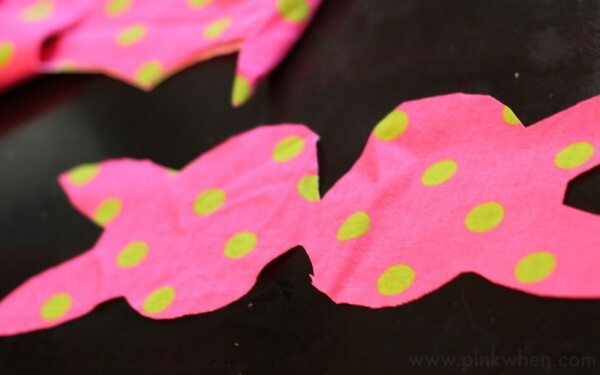 Step 8: Add your ribbon tie and you are all done! 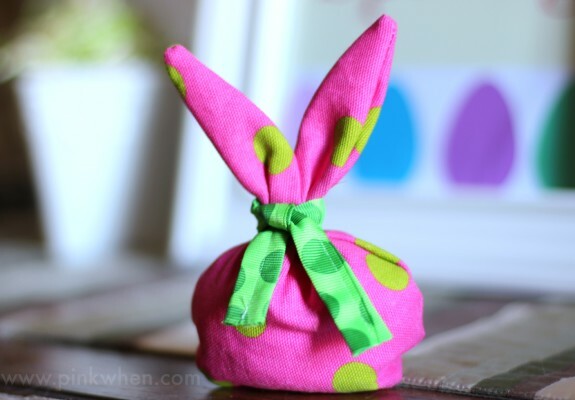 These really are quick, and super easy to make. 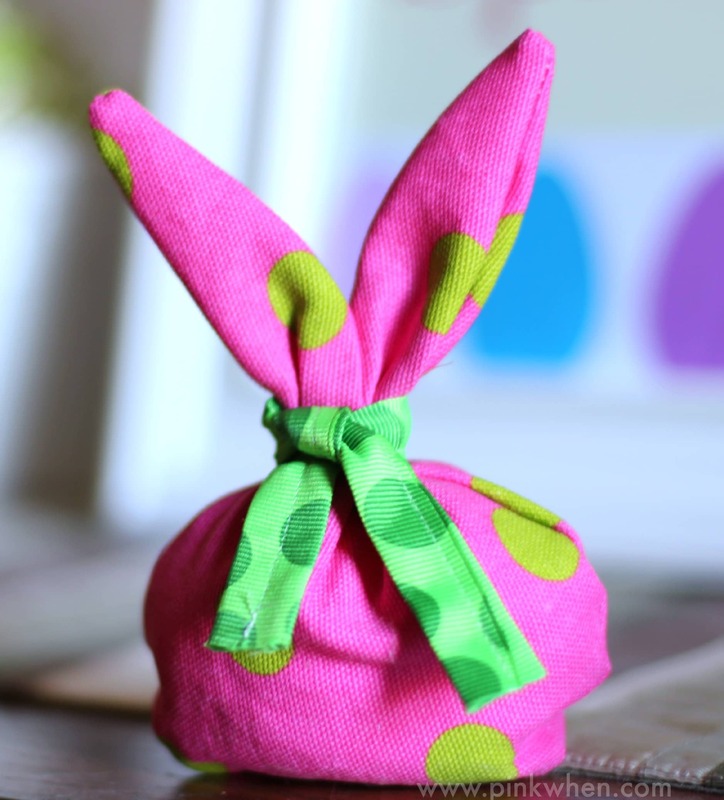 I think I made this bunny from start to finish in less than 15 minutes. I hope you enjoyed this easy Easter Bunny Gift or Treat bag and give this project a try!